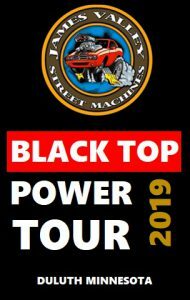 The Black Top Power Tour was conceived on a notion that as interstate speeds are getting faster and faster people are missing out on America’s Rural America. What would be cooler than cruising the country’s back roads and seeing what people don’t see on the interstates? Better yet, how about cruising around the area in some hot rods! The backbone of the Black Top Power Tour is having a great time and never drive on interstates. 4 lane roads are ok but NO INTERSTATES. The Black Top Power Tour is usually the last weekend in July and runs 3 or 4 days. 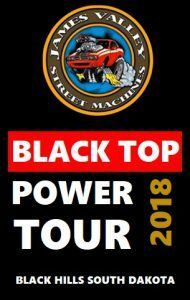 © 2018 JAMES VALLEY STREET MACHINES.